I'm your average art and psychology student getting through school. Living in New York City is ridiculously expensive and I only have a part time job on weekends upstate where I travel back and forth to since the pay is decent. However the pay doesn't quite make the cut and who doesn't want more money? I started middle-manning Adderall and Xanax from upstate to the city and selling it back at school. I ended up buying in bulk from my dealer and selling it myself since it was so popular, especially during finals week. I'm in an acapella group at my college and we happen to travel and sing so I began selling to other colleges and making connections. I'm a pretty innocent looking small built girl so I've never had an issue. People knew to come right to me for the hook up. I began making special weekend trips to NYC and even parts of Long Island and New Jersey to sell and even began selling harder drugs like cocaine and ketamine. I've made ridiculous amounts of money off of college students while keeping my good girl image as cover. I made the mistake of falling for one of the guys in another college's acapella group who already drank heavily and used Adderall and Ritalin a lot. We began seeing each other and drinking and using together which was really bad. He bought from me a couple of times and eventually he cut me off and I was so angry. I started selling to his friends and other students at his college to piss him off. I even slept over with one of his friends after selling a lot in one of the dorms. Heartbroken and miserable I began drinking daily and mixing cough syrup with liquor. I've gotten so sick and have even had my stomach pumped a handful of times. The funny thing is as part of my psychology studies I actually work for an substance abuse recovery and counseling center which is incredibly ironic. I feel like a horrible human being because I make money off of people's habits and then turn around and talk to them about how they have to stop. I also feel like I'm more helpful when counseling addicts as I truly understand the pain and suffering that they feel. Luckily I don't use or drink all that much and I've cut the selling down to a few close friends. I really want to help people and there's better money in providing therapy than selling drugs anyway. But seriously, it's harder but more rewarding to help people get better than make a quick buck off their suffering. Do you have a question or story? It's easy to ask your question or submit your story. How? 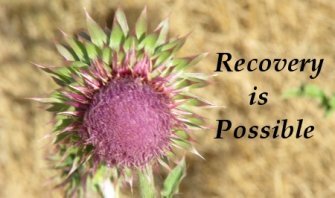 Simply click here to return to Drug Addiction Solution.